Sinta has announced the first Schnibble of the year and it's going to be Jersey Girl. As soon as Carrie released the pattern late last year, I knew this was one I had to make! 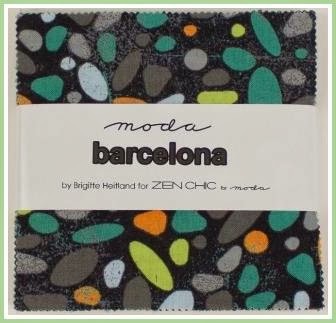 I considered using Barcelona by Zen Chic. I've really been wanting to make a quilt out of this, but finally decided it was just a little too modern. I wanted to go for something warmer and softer. After choosing and discarding several more options, I picked Meadow by Blackbird Designs. This is an older line from 2012 I think. I remember buying the Charm Packs at one of my favorite quilting stores here and it has since gone out of business. I've already picked a name for this quilt too (which is really on the ball for me). I'm calling it Summer Meadows. Like everyone in the US this year, we're experiencing a rather harsh winter. I live in central NC and it was 9 degrees the other morning. (I realize that's not cold if you live in Minnesota, but we're definitely not used to this.) As I'm bundled up in my 2 pairs of socks, long johns and as many other layers of clothing as I can put on and still move, this has me thinking longingly ahead to the dog days of summer. 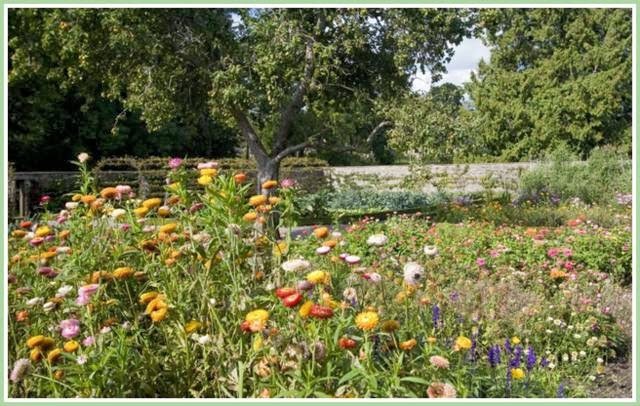 I found this picture of a summer meadow on the internet and I'm going to picture myself lying in it while working on this quilt. I'm also going to meditate on Psalm 23:2-3. I hope you're managing to stay warm (or cool) in your corner of the world! Sounds like a great plan! That looks like a fun pattern! Can"t wait ti see it in the Meadow prints! Thats a cute pattern. I can't wait to how your fabrics turn out. It's always a surprise to me, a pleasant surprise. Meadow is going to look great in this little quilt! I love Barcelona too!